LE MILE .selected presents College x Aries Arise: The Penny Loafer. LE MILE .selected presents objects from the &tradition collection 2018. LE MILE SeLECTED: Presenting Archivio´s Fall Winter 2018 Collection. Happy Socks unveils limited edition Andy Warhol capsule collection. LE MILE has selected Andrew Coimbra´s FW018 collection as must-seen for this season. In a world that often moves too fast, with too many things that become disposable too quickly, we wanted to make a personal tech accessory with quality and substance. A MCKNGBRD iPad case is a long-term companion, designed with rigorous functionality and impeccable style, to have and to hold. Aman announces the launch of a skincare collection, made bespoke for the brand, which not only embodies and celebrates, but is also inspired by its constellation of hotels and resorts. Introducing a collection of 30 products on the occasion of the brands 30th anniversary, Aman Skincare has been formulated using an exotic roll-call of natural, rare and precious ingredients, many of which have been wild-harvested in various Aman destinations. Pop art for all. That is the ethos shared by the decade-old Swedish sock and underwear maker, Happy Socks and the late transcendent artist and cultural icon, Andy Warhol. Drawing inspiration from archival screen prints including 1964’s Flowers; Banana (1967); Dollar Sign (1961) and Cow (1966), The Andy Warhol Foundation for the Visual Arts revered works can now be seen on a palette of loud, vibrant hues, in rich shades the likes of crimson red, pale pink and baby blue. College: An institution of higher learning, the place to go to earna bachelor’s degree. And College is also the name of thefootwear brand which has the coolest take on that all-time collegiate classic: the penny loafer. This contemporary all-suite complex touts 30 spacious, calming, and uncluttered villas that are constructed from timber, stone, and local clay tiles. To the west, wild palm trees sway in the wind above a sandy grove backed by thick tumbling vegetation while to the east, great boulders seal the shoreline. Sri Lanka ́s Buddhist temples and impossibly green tea plantations make this island one seriously photogenic place that acts as a melting pot for landscapes, cultures, animals, and activities. Whether you ́re up for the scenic railway travels, wildlife safaris, hiking different world-heritage destinations, or simply traveling the island for leisure, Sri Lanka fulfills every traveler ́s desire. The Amanwella luxury resort is situated on Sri Lanka ́s sun-baked south coast on the sleepy fishing town of Tangalle and is the perfect hideaway and home base to explore all that Sri Lanka has to offer. The resort is fabulous with the little touches: large tropical fruit bowls, pretty frangipani blooms, delicious and freshly baked coconut cookies, high quality publications that showcase all the destinations AMAN serves, and gifts for their guests to make their stay meaningful. King-size beds belong in airy rooms with high wooden ceilings while floor-to-ceiling sliding glass windows and tropical-inspired sliding wooden doors on either side let the sunshine and the sound of the waves pour in the interior. Details unique to the resort include quasi-modern massive living rooms with dark kithul wood furnishings and a taupe colour scheme. There is no television in any of the suites, instead there is an undiluted view on the 800-metre beachfront and coconut grove to enjoy from the terrace while being serenaded by the sounds of peacocks as the refreshing breeze brushes your skin. The bathroom is a vast space with a large free-standing tub, a separate tropical shower, and thanks to the sliding doors, it even provides direct access to the pool for spontaneous dips that comes with a day bed for afternoon naps. Amanwella has embraced a stripped back aesthetic that lets the idyllic surroundings take centre stage. A perfect place for meditation, morning yoga lessons, or a daily cup of black tea are what Sri Lanka is famous for. Inspired by the celebrated Sri Lankan architect Geoffrey Bawa, the resort flows effortlessly within its environment, keeping their guests’ experience as original and authentic as possible. Also, the properties blend seamlessly with the surroundings to maintain balance and harmony. The hue of the exterior walls perfectly matches the sand encompassing the resort and the simplicity of its streamlined design all transition harmoniously within the open airy spaces. Kerry Hill found inspiration in sharp angles and almost-monumental proportions from past century architecture. The lines of design exude very strong modernist influences. The main restaurant is a simple pavilion-style linear building, located just above the resorts ́ 47-metre-long infinity pool and adjacent to the bar with outdoor seating and sweeping views. It basks in heavenly sunset panoramas during dinner time and proffers an international fusion menu that combines fine dining and focuses on Mediterranean and Asian cuisine with plenty of traditional Sri Lankan dishes like egg hoppers or curries. The sheets of glass on the facade of the bar next to the restaurant reflect the tropical sky and strong sun on the outside and ensure a great view from the inside. The resort allows its guests to unplug and try out Ayurveda experiences, relax on sun loungers on the outdoor banquette, and dine privately on the al-fresco culinary treatments. Its pace is seductively slow and invites everyone who is searching for comfortable and peaceful moments to observe the waves of the turquoise Indian Ocean. The Amanwella is an unadulterated island-paradise bliss. Introducing MCKNGBRD— iPad cases that are protective, versatile and beautiful. Elegant enough for the boardroom and rugged enough for a casual hike, every single component of our products has been designed with obsessive attention to detail by Danish product designer Sebastian Holmbäck in collaboration with luxury accessories designer Jocelyn Mason. 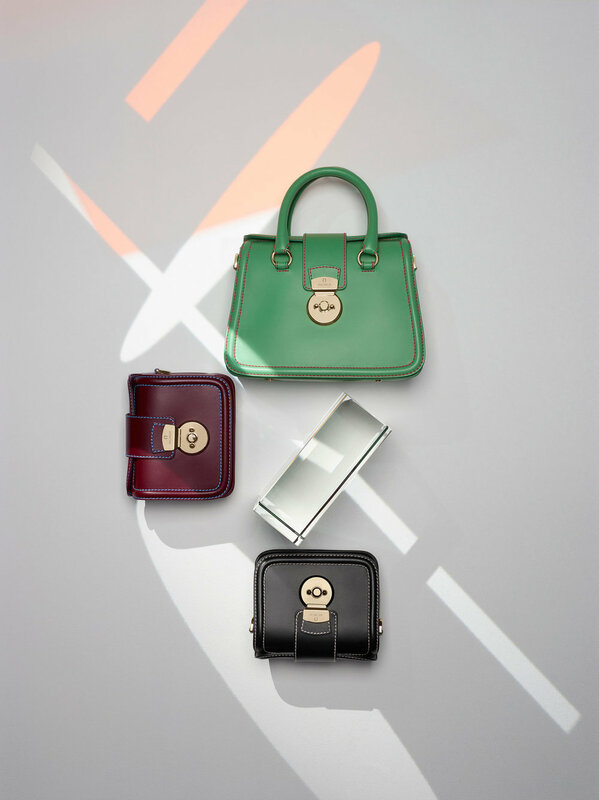 The cases are made of fine Italian leather, which only gets more beautiful as the case ages and develops a patina. All products are handcrafted in our small LA factory by experienced craftsmen who have spent decades honing their skills. The intelligent and resourceful mockingbird serves as a symbolic muse for the brand. The mockingbird’s unique ability to mimic the sounds of its environment makes it one of nature’s most skilled adopters. Our goal is to make products that are similarly ingenious and versatile. During a scenic 45-minute seaplane transfer from Malé to the Dhaalu Atoll, we enjoyed a breathtaking aerial view of the turquoise Indian Ocean with hundreds of sandbars and green islands. We arrived at the jetty of the resort where we were welcomed by our attentive and cheerful thakaru Ting. Niyama Private Islands is spread out over two isles - “Play” and “Chill” - and filled with thousands of different-sized coconut palm trees that rustle in the wind. The first thing that strikes one upon arrival is the infinite peace that makes you feel as if you were in your very own tropical paradise. Spacious and elegant high wooden ceiling villas are built over the water or come with direct beach access. The Beach Pool Villas are our top pick and come equipped with enormous beds. A pool in the suite ́s private garden is perfect for a dip at midnight and there is a tropical outdoor rain shower and huge ceramic bathtub to bathe under the starry sky. On the outdoor deck, you can enjoy the view of endless blues and heavenly sunsets. The islands are eco-friendly and provide their guests with bicycles to bike to places like SURF SHACK for some Sundowners before enjoying the breezy ride back to their villas. It ́s still a mystery to us how you can have the highest standard of privacy and peace even though there are 134 studios on the two islands. You rarely see other guests cycling through the labyrinths full of coconut trees, ferns and other tropical plants or on the epic wooden bridge that connects the Play and Chill. 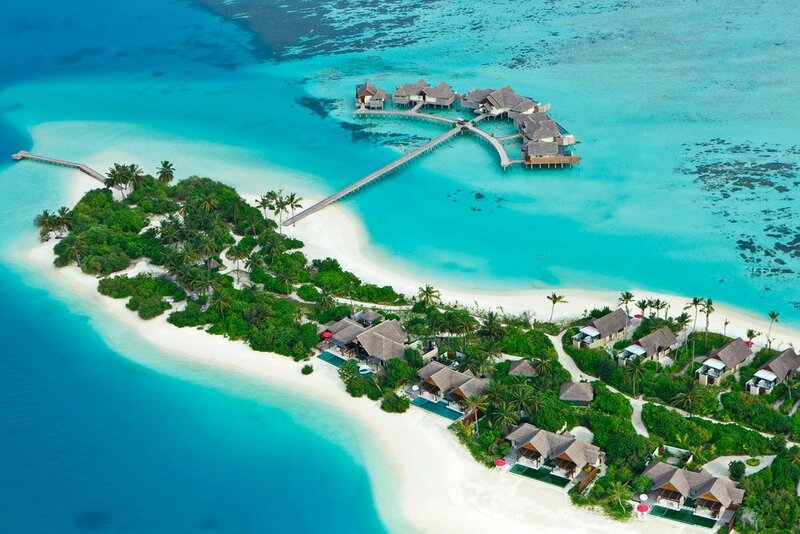 However, Niyama can be as peaceful and quiet or as busy and active as each guest desires. No matter if you are looking for adventure, relaxation, romance, surfing, or exclusive dining, Niyama offers tropical-island chic at its finest. It has something for everyone: speed boating to find spinner dolphins and flying fishes, one-on-one surfing lessons and scuba diving to spot turtles and reef sharks, and hopping on a boatbus that brings you to SUBSIX, a restaurant six metres below the water. The restaurant turned nightclub comes highly recommended for its top-notch local lobster set menu with champagne while dining in the company of stingrays, snappers, and sharks that pass by your table. And for those who are looking to get a gym session in, check out PUMP or ACTIVE where you can play pool, air-tennis, regular tennis, or badminton. It’s safe to say that there is plenty to do here! The setting boasts an impressive number of culinary attractions to dine. There ́s the Maldives-only Afro-Latin restaurant named TRIBAL that combines fine dining with cuisines from Africa, Central, and South America. Then the atmospheric three-top Asian restaurant, NEST, is six metres above ground amongst Banyan trees and showcases a fantastic teppanyaki-style experience to the tune of tropical birds. On the ground, there ́s a garden that bears extra hot Maldivian chillies, fresh coriander, watermelon, and salads. Local fishermen also bring their daily catch of yellowfin tuna or mahi mahi. The Niyama Private Islands is an absolute sensation with its postcard perfect rustling palm trees and white sand refreshed by the palest turquoise that the Indian Ocean has to offer. Vote the Niyama Private Islands as Luxury Travel Advisor’s Most Instagrammable Hotel in the World. An institution of higher learning, the place to go to earna bachelor’s degree. And College is also the name of thefootwear brand which has the coolest take on that all-time collegiate classic: the penny loafer. 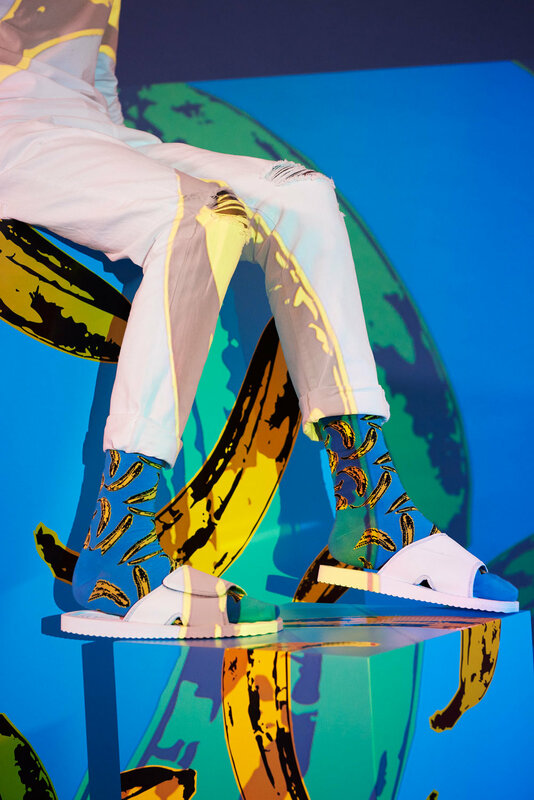 Just recently, iconic loafers brand College (founded in the 50s) and the London-based avantgarde streetwear-imbued brand Aries have teamed up for an exclusive collaboration. Penny loafers are a global phenomenon, owing their origins to American Indian moccasins, and further linked to the comfortable leather shoes worn by Norwegian fisherman in the early twentieth century. These were adapted by Americanshoemakers in the mid 1930’s, and loafers quickly became the fashion footwear standard on college campuses across the nation. It wasn’t only students who wore penny loafers. Everyone did –from Grace Kelly to James Dean, Paul Newman or J.F.K., preppies and nerds alike, the girl next door, the boy down the road, in the country or the city. Their appeal remained steadyand broad through the 1960’s, and has periodically resurgedever since. The latest revival was in the 80’s, when youth subcultures theworld over adopted the hitherto establishment preppy look, injecting it with a touch of wit and irony in the process. College was very much on the scene when the Italian Paninaro movement took hold, and fashion obsessed youth gave the Americana look a special Italian twist. Today, College brand loafers take the look to a new style pitch. Bold. Sophisticated. Playful. Smart. And most definitely NOW. For s+s018, take your pick between pitch black, radiant white or bright red leather College loafers, made in Italy and impeccably detailed with zig zag edging at the top of the vamp, along the heel seams, and at the sides of the pennyloafer’s signature feature: the strip of leather across the instep,with its cut-out slit to hold a coin. Or make your mark in Antick Cross College loafers, a big graphic X in a contrasting color splashed across the front, be it white on black or red, or red or black on white. The two-tone story continues with Antick Stripe, where white loafers have been boldly road-striped in black or red, while fans of theunderstated will fall for Antick Stripe Black/Black’s almosthidden fashion accent. As the name suggests, &tradition believes firmly in the talent and vision of past designers. The studio also believes in the celebration of new designers who are forging their own paths to become the avant-garde designers of the future. Located on the castle grounds of Copenhagen's Kastellet overlooking the waterfront promenade that is home to the Little Mermaid, The Langelinie Pavilion stands with a resilient spirit. The first Pavilion chair was built in 1885. The second was built in 1902 for the Royal Danish Yacht Club but was sadly destroyed during World War II. The current Pavilion was built 1958 by architect couple Eva and Niels Koppel in homage to modernism. Echoing its own ability to endure is the Pavilion chair by Norwegian design firm Andersen & Voll, established black in 2009 by Torbjørn Anderssen and Espen Voll. "Anderssen & Voll succeeded in embracing the technology of modernism without being limited to its often rigid functional doctrine. By making both the veneer seat and back curved, they pushed technology to the limit. Available with or without armrests in a choice of wood veneer with versions in textile or leather, the look remains light. It's a chair you wouldn't expect to be this elegant designed to stand the test of time." says Martin Kornbek Hansen, founder of &tradition. The FlowerPot Lamps became synonymous with the Flower Power movement from the late 60´. Reecting a break from convention to embrace a more open, modern mentality that promoted peace and harmony. Such was the mindset of their designer, Verner Panton. One of the most forward-thinking talents of his time. The lamp’s simple design consisting of two semi-circle spheres facing each other is not only an icon of that era, the FlowerPot Lamps remain equally as appealing to new generations. Especially in the new series of colours launched by &tradition. The products prove their timelessness and worth, being both desirable and stylish all these years later; true legacies. Archivio was established in Milan in 2016 by Cecilia Federico and Rosita Giammarino. The brand represents an unique intersection between art + fashion. Its creativity comes to life through the reinterpretation of iconic fashion pieces blended with a timeless and authentic design. Iconographic research and contemporary aesthetics merge together and become the core of every creative process of the brand. A daring design of hybrid silhouettes connects the feminine and masculine in a single universe. “Made in Italy” design and high quality materials are a fundamental value of the brand. Made by women, for women. Archivio is a womenswear brand that puts the focus on real women’s lives. For those who actively enjoy fashion but do not obsess over it, for women who know themselves and stand for what they want. Archivio woman is free, self-confident, elegant but also sporty and delicate. We design women for what they truly are : powerful, sensual, intelligent, sweet, strong, passionate, determined and elegant. The collection embodies the perfect outfit for a contemporary woman: from the morning meeting to a dinner out, the sophisticated and timeless structure of the typical Italian tailoring are matched with precious shining fabrics and warm jacquards. The attentive and continuous study of the tailleur, together with the use of intangible silks, reveals us the fine line between the male and female wardrobe, where a woman can borrow her husband’s coat or tie to create her own provocative and sensual style. Double breast structured jackets, austere long coats and classic double pinces trousers, are proposed for a woman's everyday life. Technical and sporty details are mixed in a sensual and elegant collection, where cigarette and wide trousers are matched together with a hoodie silk shirt; and wedge boots are paired with a re-imagined classic longuette, to merge the everyday life wardrobe in a unique modern collection. Sensual dresses are created to enhance the sinuosity and shapes of the woman’s body, who is the real protagonist of our research. Archivio woman is immersed in her personal style, classic and well defined, yet always connected with the modern trends. Fortunately, style is not a slave to fashions. The Andy Warhol x Happy Socks capsule collection includes six unique pairs of soft combed cotton socks. Two pairs of classic men’s trunks, and two pairs of seamless underwear for women. All styles are sold both separately and in an exclusive designer box. The collection will be available starting October 2nd in Happy Socks concept stores, online at happysocks.com, and at selected retailers. The new skincare collection - which includes hydrating face creams and serums, nourishing face masks, uplifting body oils, calming milk baths and pulse-point remedies - represents the spirit of Aman in a bottle, offering a soothing journey to a place of beautifully scented repose and respite from the everyday grind. 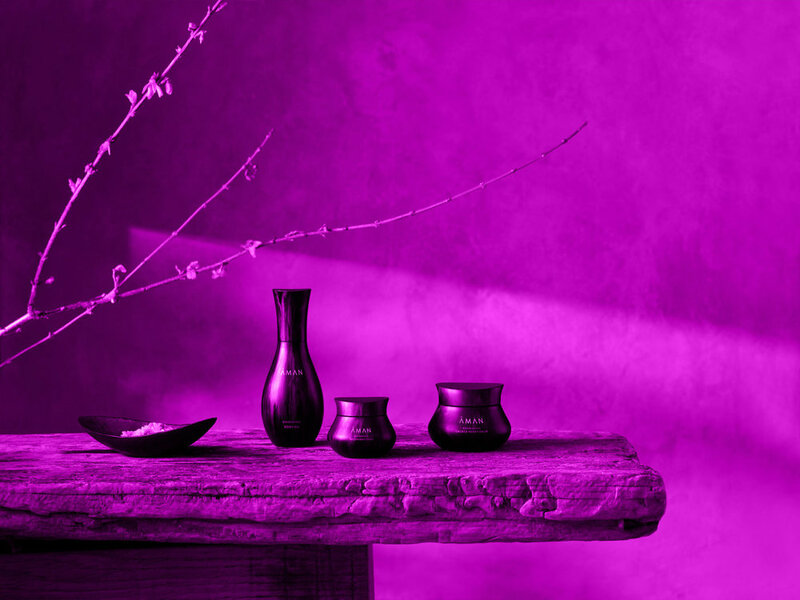 The sense of peace, the intrinsic connection with its beguiling locations, and the becalming architecture for which Aman is so renowned, define the design aesthetic for the collection’s bottles and jars. Acclaimed architect Kengo Kuma masterfully blended these attributes with Aman’s Eastern roots and channelled them into striking vessels, a beautifully crafted reimagining of Japanese porcelain.For more than 30 years, Aman has created an opportunity for guests to cast aside quotidian distractions and explore the possibilities of a better, more wholly nourished self from a place of serenity. From jungle to desert, countryside to city, Aman welcomes its guests into a comforting and holistic space to connect body and mind. The new Aman Skincare collection inspires a similar journey following the three distinct pathways that harness the natural settings of Aman’s locations: mountains and deserts, Grounding and earthy in their essence; oceans and seas – fresh, Purifying and fluid; nature, forests and lush greenery – Nourishing and renewing in the energy they offer. Toronto-based designer Andrew Coimbra is a lifestyle and ready-to-wear brand, created back in 2015. With a strong focus on simple yet powerful design, in revisiting classic staples Coimbra is driven by conveying an aesthetic that is unique in its vision and realization. Coimbra aims to play into the duality of the modern person: exploring the classic and contemporary, and the more street and relaxed self. 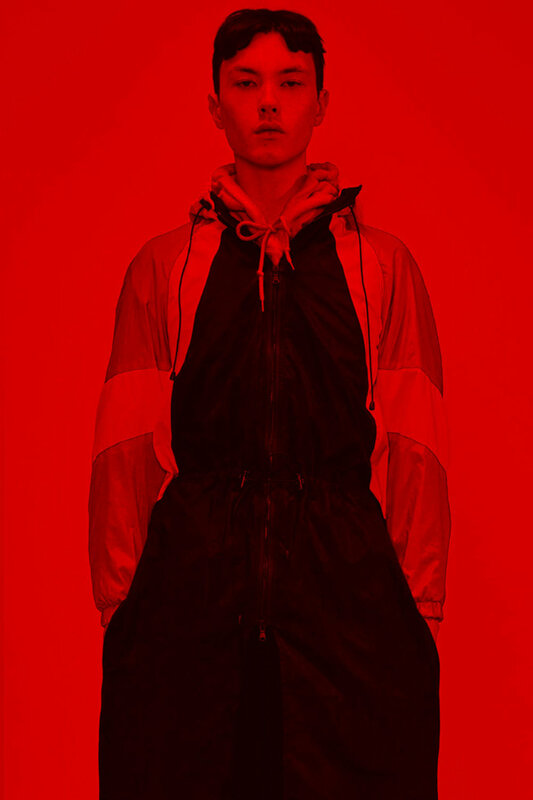 Photographer Royal Gilbert has teamed up with stylist Chad Burton to shoot the lookbook of Andrew Coimbra´s fall+winter 018 collection in Montréal, Québec.